A hardy legume that can be found in many arid parts of the world, the mesquite tree has long been treasured by desert peoples for its rich source of nutrition and medicinal benefits. The Pima people of the Southwest refer to it as the “tree of life,” while the Bishnoi of North India consider it holy. 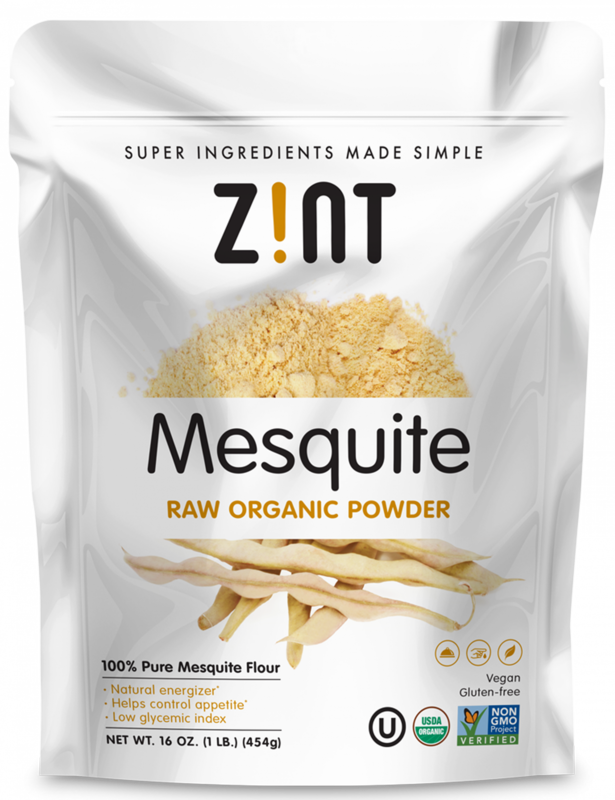 Zint Organic Mesquite Flour is made from mesquite trees grown on the northern coast of Peru. 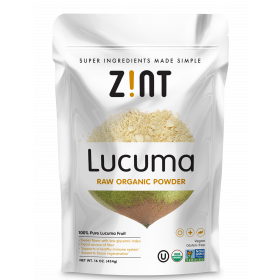 After being washed and dehydrated, the organic pods and seeds are milled to a smooth, fine powder for easy consumption. The flavor of our mesquite flour is complex and delicious, with a sweet, smoky, nutty taste and undertones of caramel and maple. 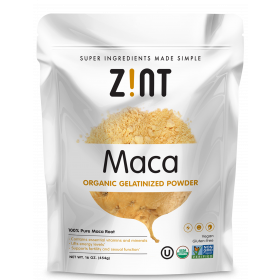 The powder can be added as a nutritious seasoning to dishes and drinks such as smoothies and coffee. 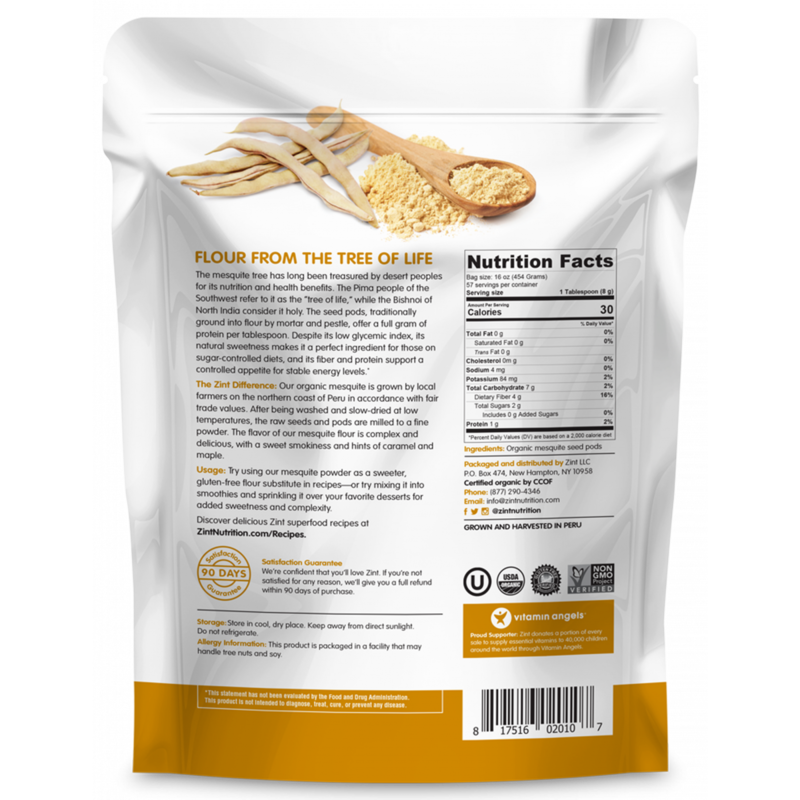 Because it mixes exactly as wheat does, it can also be used as a gluten-free flour substitute for baking and cooking. Discover all the wonderful health benefits and flavors of mesquite! Mesquite pods, traditionally ground into flour by mortar and pestle, are rich in protein, particularly in the amino acid lysine. 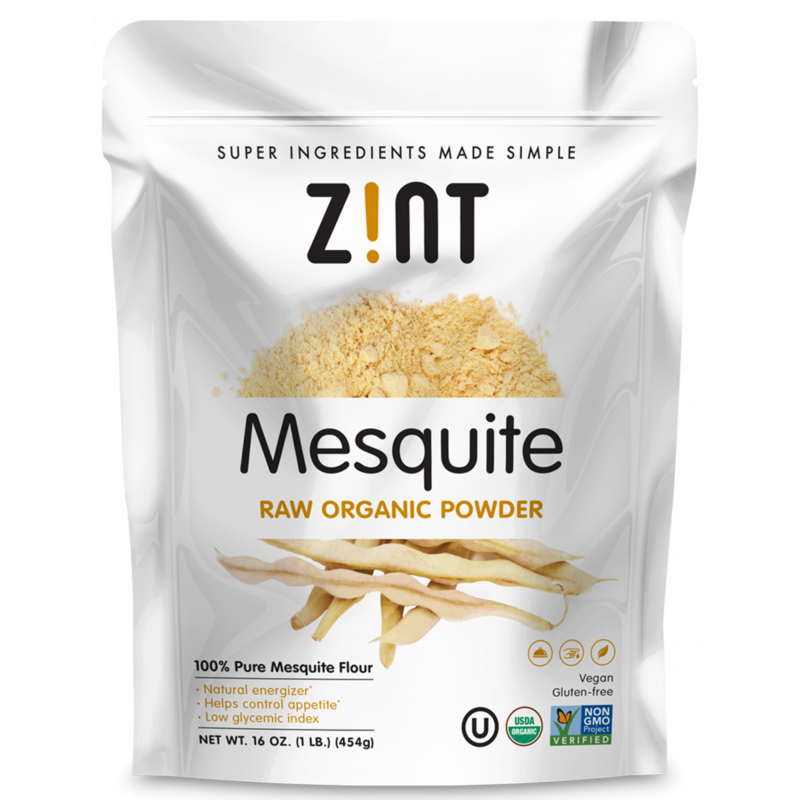 Mesquite is also bountiful in omega-3, magnesium, potassium, iron, calcium, zinc and soluble fiber. Although it has a pleasantly sweet taste, its glycemic index is only 25, making it an ideal sweetener and white-flour substitute for those on a sugar-controlled diet. I love the sweet, whisper of smoky taste this flour adds to select baked goods. It pairs especially well with chocolate and rich sweet spicy flavors like cinnamon, cloves and ginger. 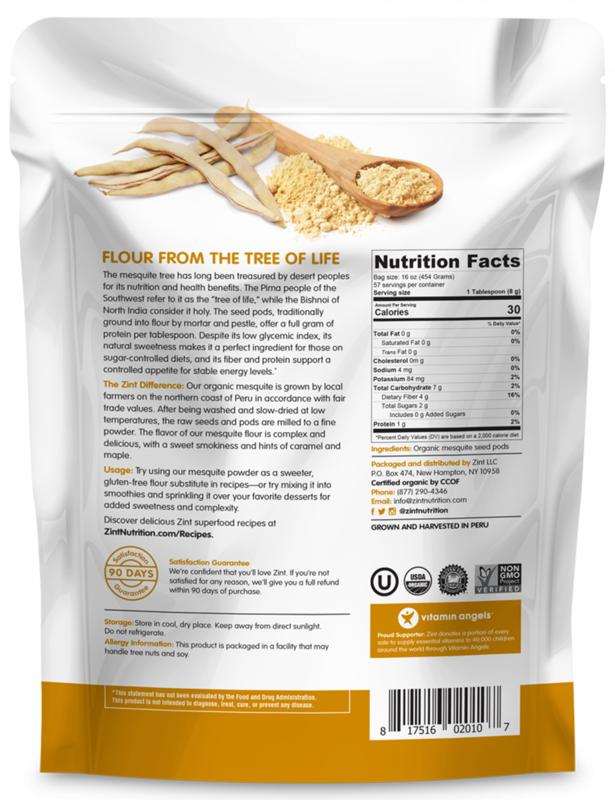 I first started using this flour years ago when my daughter was diagnosed with celiac disease and continue to use it because of the rich, complex taste. Perfect in muffins, cookies, breads-use your imagination. Stumped for ideas-check the internet and you will find dozens of recipes on how to use this delicious flour!